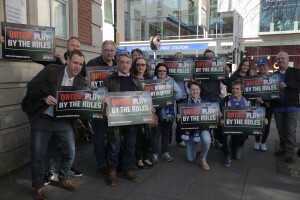 British football supporters have staged the first major fan demonstration against the abuse of migrant workers building the FIFA World Cup 2022 infrastructure. 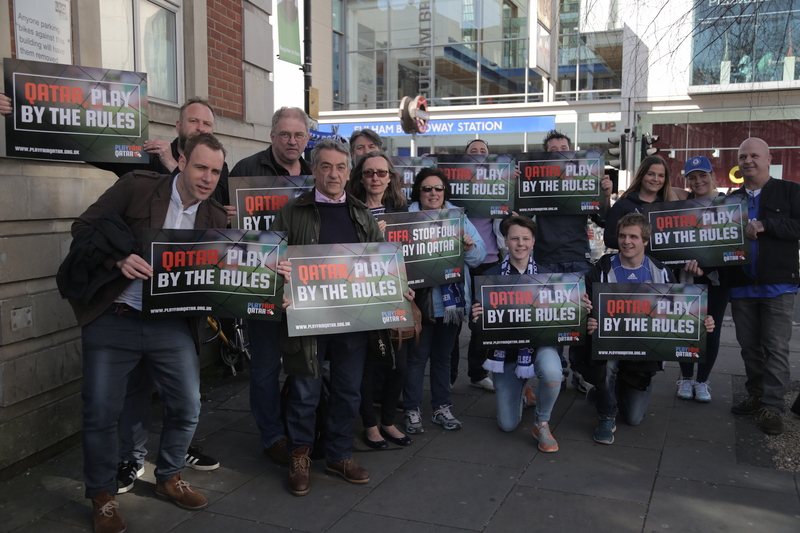 The Chelsea Supporters Trust joined forces with Play Fair Qatar, a campaign group backed by the Trades Union Congress, to hold a photo protest campaign on Stamford Bridge, London, ahead of the Chelsea-vs-Manchester United game on April 18. The protest follows on from a "selfie" campaign that Play Fair Qatar launched in September last year in which they called on fans to share photos of themselves wearing their team's colours and holding up a "Play Fair Qatar" sign. There were 1200 confirmed deaths of migrant construction workers from India, Nepal and Bangladesh in Qatar between 2012 and 2014, while 90% of low-income migrant workers in the country reported having their passports confiscated, according to Playfair's website. Amnesty International criticised Qatar last year for failing to protect workers' rights and for "lagging behind" in safety standards. But FIFA president Sepp Blatter washed his hands of the matter, saying that migrant worker abuse was not the organisation's problem during a visit to Sri Lanka in December. Fan power alone won't make Qatar change its labour laws, or make FIFA toughen up its bidding requirements, but the involvement of the football community is a vital ingredient in the campaign for construction workers' human rights, Stephen Russell, coordinator of Play Fair Qatar, told Migrant-Rights.org. "The 'selfie-action' is way for us to show that fans care enough to get involved. It may be a long process, but we aim to be able to show all the key decision makers that if they don’t respond, the people on whom the entire enterprise of football rests, from games to broadcasting deals to sponsorship, will have something to say about it," he said. "The campaign is – we will admit – a slow burner, but our engagement is growing as people become aware that the fate of Qatar’s migrant workers, rather than corruption or heat, is the defining issue of 2022."